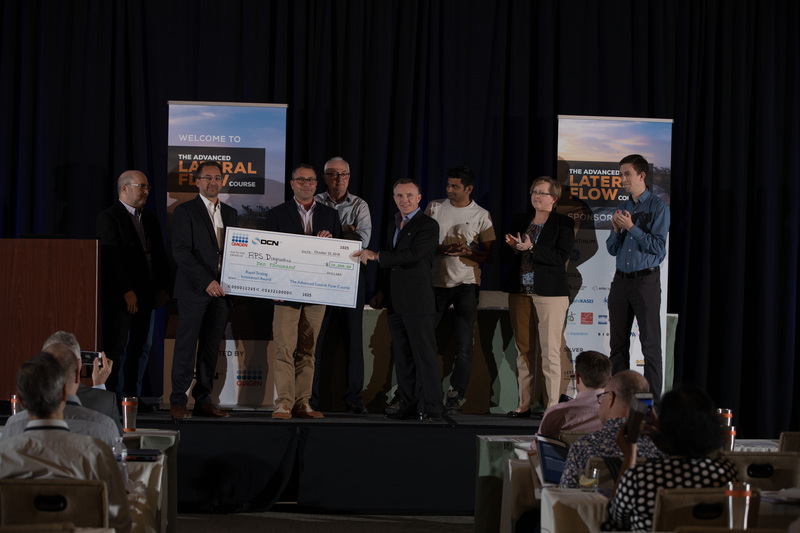 QIAGEN Lake Constance and DCN Dx, are pleased to announce that Rapid Pathogen Screening, Inc. (RPS) is the winner of the first $10,000 Innovation Award at the Advanced Lateral Flow Course. RPS was selected from 38 entrants that described advances in diagnostic technology. RPS’s technology, called FebriDx, helps reduce unnecessary use of antibiotics in acute febrile respiratory infection (ARI). FebriDx is a rapid point-of-care test that can identify patients with clinically significant underlying infection and can aid in the differentiation of viral and bacterial ARI’s in 10 minutes and at a fraction of the cost of traditional laboratory tests. These results will aid in the reduced broad use of unnecessary antibiotics, which contribute to antibiotic resistance. “We are extremely pleased that RPS was awarded the First Innovation Award at the ALFC,” said Brendan O’Farrell, Ph.D., Co-Founder and President of DCN Dx. “The power of lateral flow technology is becoming increasingly apparent in diverse applications, and RPS’s innovation to apply it to help reduce the use of unnecessary antibiotics is truly a huge step forward,” said O’Farrell. Over the past 6 years, the Advanced Lateral Flow Course has developed into the premier scientific and industrial event for bringing together scientists, engineers, developers and manufacturers of point-of-care tests. This year’s event drew 200 people from around the world from academia, start-up companies, large companies and government agencies. The Innovation Award recognizes the best innovation in diagnostic technology over the past year and comes with a $10,000 cash prize.